In spite of road construction and limited access, individuals and families have been showing up in droves to receive hunger relief and homeless prevention services from the small nonprofit. In July 2009 a record 10,155 meals were served and 1,468 services were provided to Lincoln's working poor and homeless. 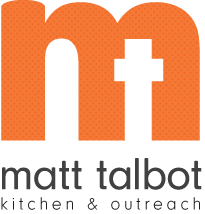 In July 2008 Matt Talbot served 9,244 meals and provided 1,362 services. Susanne Blue, Matt Talbot's executive director stated, "In my almost ten years at Matt Talbot I've never seen the needs so great. The faces of our guests are continuing to change as more working poor families are seeking support. We continue to be a welcoming place for Lincoln's homeless population as well." Matt Talbot's leaders are also working diligently on the Witness to HOPE capital campaign that is necessary to move the organization and to make way for Assurity Life Insurance Company's new development and the Antelope Valley Project. This is a very challenging time for the community kitchen and outreach facility. Operations are stretched and funding is needed to keep meeting the day-to-day needs in addition to preparing for a move. Blue also stated, "Even with all of the challenges the organization is facing, there is too much goodness at Matt Talbot Kitchen & Outreach for us not to succeed. But we need the support of the entire community."